I admit, I may be slightly…actually incredibly biased when it comes to Assassin’s Creed as a veteran of 7 years (the span of the franchise) to this game. But I’m here to convince you why you need to invest in this gaming series, old games and new. much alike films in Leon and games like the long running Hitman. But you are so wrong in this case. Instead you a greeted with the Assassins, a faction who fight for the right of freedom and fight the evil Templar Order and not only do they do that, they have actually been doing it since the 12th Century. This is already proof of the detail and depth that Ubisoft have spent on this game and it really paid off. During these adventures you feel history in a way you never have. Such iconic moments in history like the Boston Tea Party being playable, meeting pirates like Blackbeard and witnessing his death first hand and seeing Cesare Borgia being arrested for his crimes. But how do you travel to these distant times? That is answered by a machine called the Animus, made by Abstergo Industries, the Templars in disguise, to travel through your ancestor’s life to find artefacts and hidden secrets from history. Of course as the Templars are evil, they want the artefacts more than the secrets. 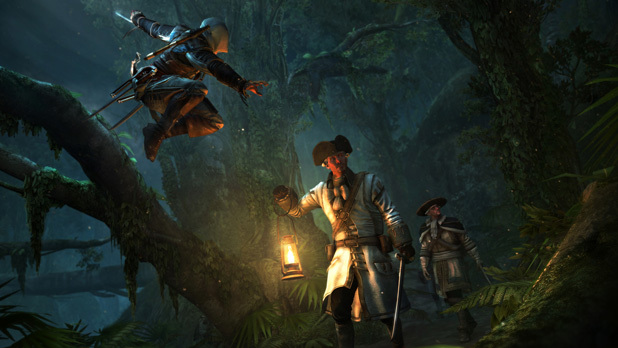 That’s where Desmond comes in, captured by the Templars, he is forced to dive into his ancestory and find these deadly artifacts for the Templar’s wielding. So not only do you have history, you have a look into what the modern Assassins are and what they want. 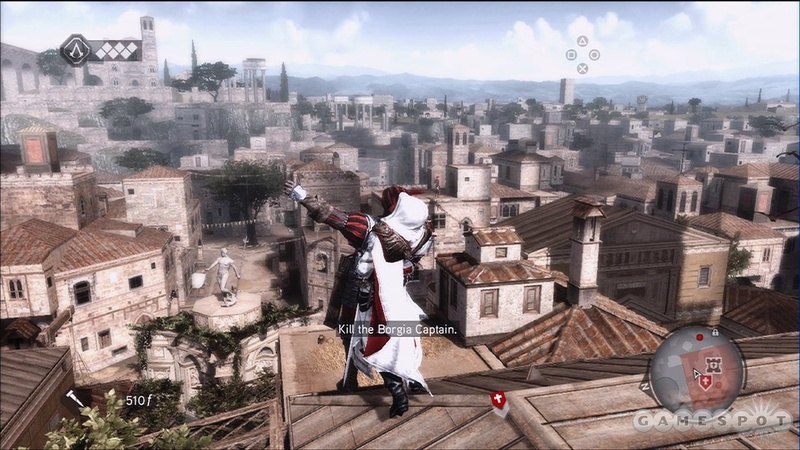 racter development within game and the best example of this is the story of Ezio Auditore, an Italian Assassin in the 1500s. He is a pretty big part of the Assassin’s, having a total of 3 games, comic books and a small film dedicated to his life, he also gets name dropped heavily during the latest games. You see his reckless, flirtatious nature turn into something more, granted he is still quite the charmer, but throughout the games he becomes much more, a Master Assassin with a clear life path and such an amazing story to invest in. The other Assassins in the series include the first, Altaïr Ibn-La’Ahad, Ratonhnhaké:ton, better known by his English name, Connor Kenway and his Grandfather, Edward Kenway the pirate. But the characters don’t stop there, with characters like Haytham Kenway, Al-Mualim, Yusuf Tazim and Adewale helping paint the picture and making the story bulk out. But we can’t forget what the series does best, bringing such historical characters to life such as: Blackbeard, Leonardo DaVinci, Cesare Borgia and George Washington. And that’s barely scratching the surface. Yet another thing that sold the franchise to me was the incredible combat style. If you are bored of the shooter, please give this game a try, as instead of just guns, you have swords, maces and the infamous hidden blades, the trademark weapon of the Assassins. With a flow to combat unlike anything, it becomes an art to get the best combos and the best counter attacks, I became obsessed with getting it to look beautiful…which makes me sound a little crazy to call murder beautiful, however everything in this game is beautiful.